You are here: Home / Recipes / Desserts / Cakes & Cupcakes / Chocolate Cherry Cupcakes–pretty, easy, and delicious! Chocolate Cherry Cupcakes–pretty, easy, and delicious! Homemade chocolate cupcakes stuffed with a yummy cherry filling! 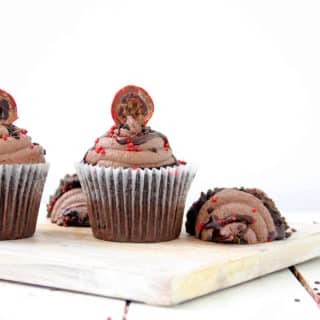 These cupcakes will make you look like a baking superstar with little fuss or muss. Delicious made from scratch chocolate cupcakes stuffed with yummy cherry insides, a classic flavor combo that is always a fan favorite! 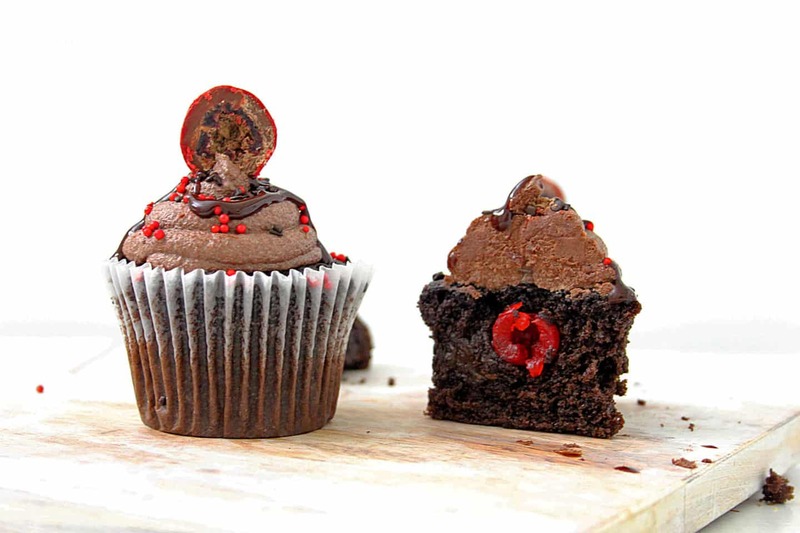 If you like chocolate covered cherries you are going to LOVE these cupcakes! Perfect for Valentine’s Day parties or Christmas or…anytime you want to serve up something special! Okay, so I didn’t listen to my own tips and butchered the center of these cupcakes out with a knife. Don’t do what I do, do what I say! Tip: an apple corer or melon baller are the best tools for coring the center of a cupcake! If you have never taken the time to core and fill a cupcake, do it! Even if you use store-bought cupcakes and jam, filling cupcakes takes them to this superhero baking level that is crazy cool!! Our brains tell us that filled cupcakes are only from experienced bakers. Fill a cupcake and you will be seen as next level. The superstar of cupcakes. Ninja baker. Mom supreme. All of those titles are already true. But hey, sometimes our family needs reminding. I mean, soooo good! And they aren’t hard to make. Heck, skip making the chocolate cupcakes, if you want, and buy them. There are no rules in baked goods. :). <—- smiling faces are for when you are feeling awkward and don’t know how to transition. Kind of like when you use LOL and it makes everything you said okay. LOL. Line 2 muffin tins with cupcake liners (24), and set the oven to 350 degrees. Scoop batter into baking cups, filling cups about 3/4 full. 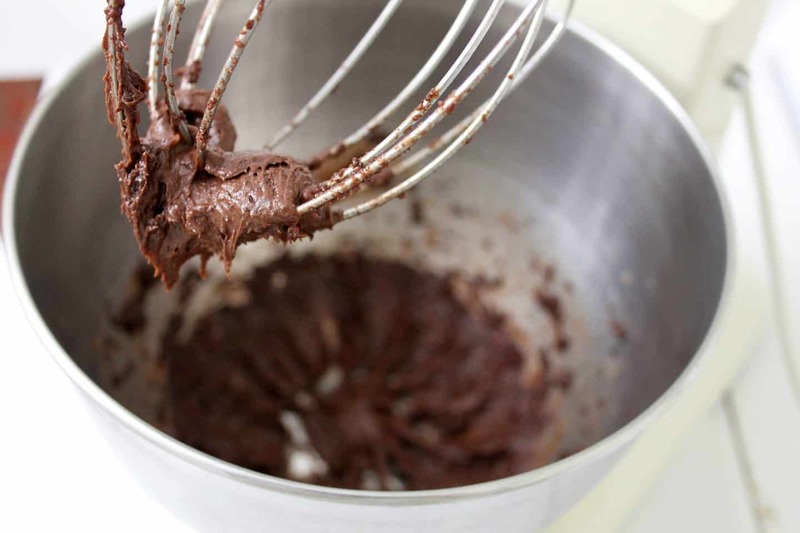 In the mixing bowl of a stand mixer, and using the whisk attachment, on low setting, mix the Flour, Cocoa, Baking Powder, Baking Soda, and Salt. make sure all ingredients are well blended. Add, Oil, Eggs, Sugar, Vanilla, and Milk, and keep the mixer on low, and blend all ingredients together until the batter is smooth. Turn the mixer on high, and beat for 1 minute. Bake the cupcakes for 16 – 18 minutes, or until a toothpick comes out clean. When the cupcakes are done, remove them from the oven, and place them on wire racks to cool completely. When cupcakes are cool, with a cupcake corer, remove the center of the cupcake, and keep the center pieces, DO NOT DISCARD CENTERS. (I simply lay them next to the cupcakes). 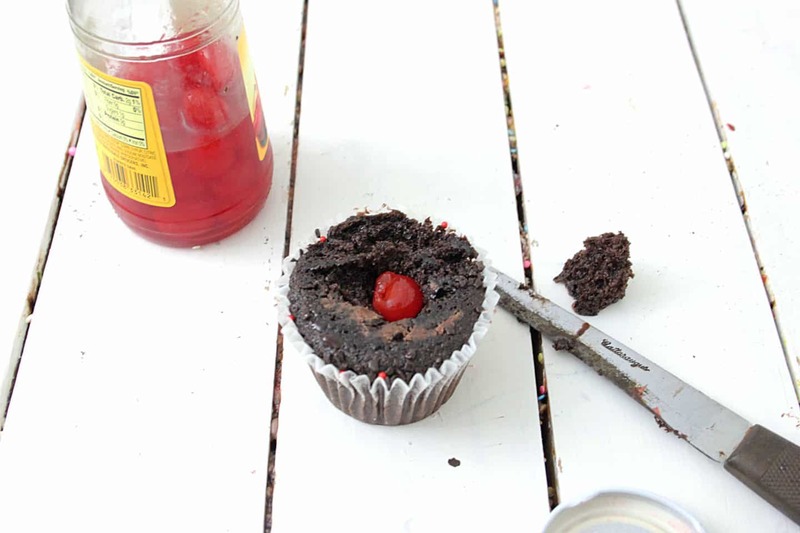 When centers have been removed, place a chocolate covered cherry in the center and then place cupcake center back in cupcake; it will stick up a little, but that’s okay because the frosting will cover it. In a stand mixer, using the Whisk attachment, cream the butter until light and fluffy. Add the Cream, and blend again. Blend in the Cocoa powder, and half of the Powdered Sugar, (starting with 2 cups) alternating with half the Cherry Juice. Add the rest of the Powdered Sugar and Cherry Juice, until all ingredients are well blended. (Use more Powdered sugar if Frosting is not as thick as you’d like it). If frosting is too thick, thin with a little more Cherry Juice, or cream. Add the Vanilla, and blend. Add the pinch of salt, and blend well, until Frosting is smooth and creamy. Put Frosting in a Pastry bag (or use a Ziplock bag! ), and swirl onto cupcakes, with a peak at the top, and top with a Maraschino Cherry. Refrigerate cupcakes in a single layer container until time to serve. Enjoy! 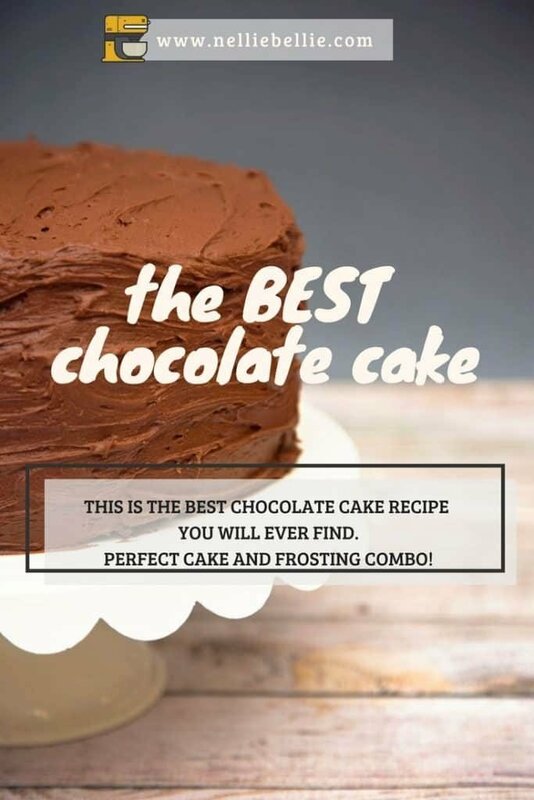 The ultimate in dark chocolate cake, this is an easy cake recipe that utilizes black cocoa to create this amazing dark chocolate cake that you’ll be making for all the special occasions. 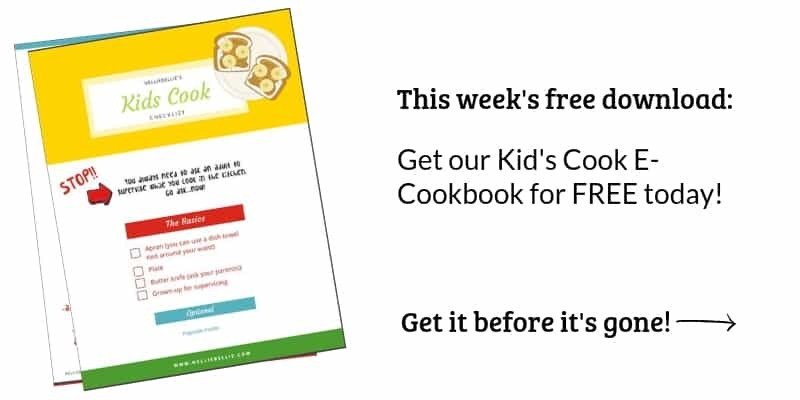 This is our MOST POPULAR recipe, by far. 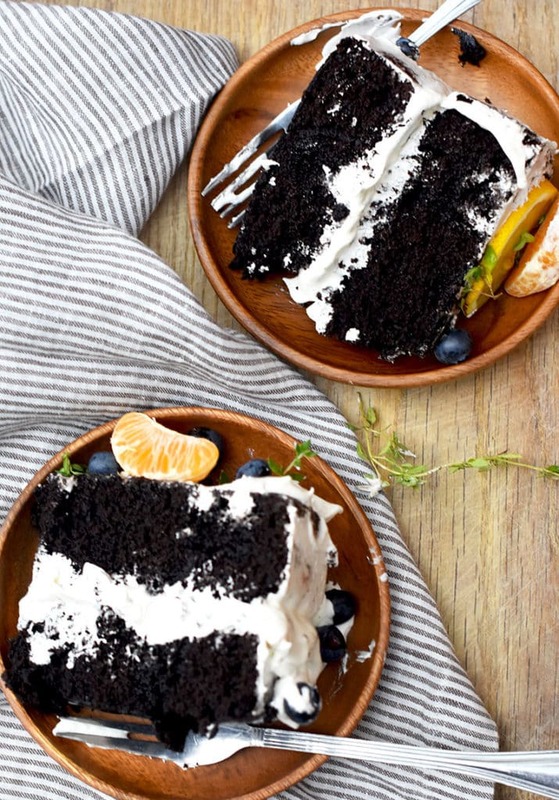 Pinned, shared, and made by hundreds of thousands, if not millions by now…this cake is easy and absolutely delicious!